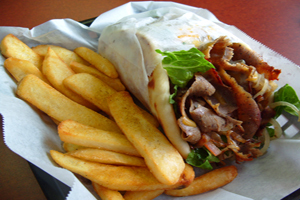 Greek Cuisine — Munich Gyros serves delicious homemade Greek and Mediterranean food. They use a rotisserie-style gyro, with nothing but the freshest ingredients including fresh chicken breast marinated and grilled, homemade tzaziki sauce, falafels, and hummus. 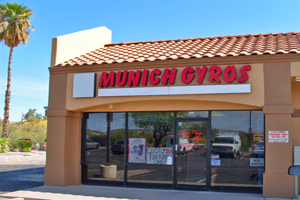 Munich Gyros also offers delicious Vienna Beef hot dogs, and delicious specials every day of the week. Stop buy for one of the best specialty fast food restaurants in Fountain Hills.